School President David Hopkins announced that Wright State was withdrawing as the host location for the first presidential debate on 26 September, citing security concerns and a lack of contributions from the local community to help offset the expected $8 million price tag for that historic event. Just three days before this decision, 86 people were killed and nearly 500 were injured when a Muslim terrorist used a large cargo truck to drive through crowds of pedestrians celebrating Bastille Day in Nice, France. Citing the university's restriction on preventing people from entering a public university's open campus, he stated that he couldn't assure "the safety of our students and the community” during such a high-profile activity. An increase of security protection measures at this late moment would have overburdened an already strained debate tab in the wake of recent remediation efforts to help make up for funding shortfalls within the school's overall operating budget. “I can’t dip into more reserves to do this debate,” Hopkins said. With his hands virtually tied and no additional financial support to the school from regional- or state-level authorities, he notified the Commission on Presidential Debates at noon and the debate was quickly moved to Hempstead, New York's Hofstra University for that same September date. 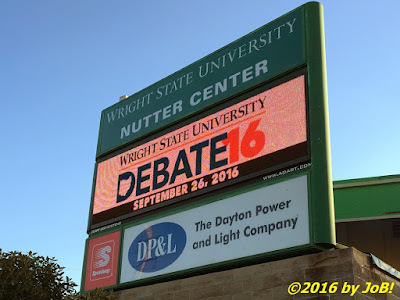 Wright State University's Ervin J. Nutter Center was to have served as the host location for the first presidential debate of the 2016 general election campaign season. 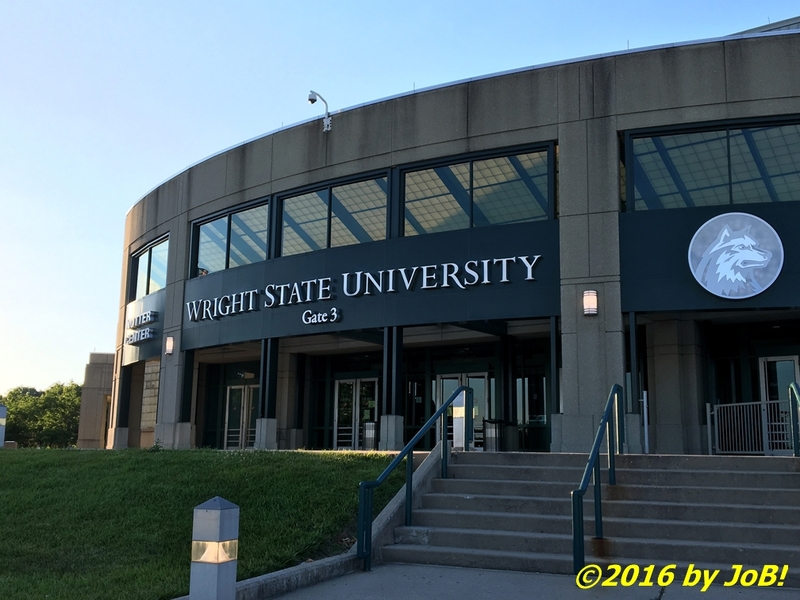 This post is not meant to analyze, in the wake of the rationale used for withdrawing as a host, how Wright State was ever awarded the debate in the first place. I am an acquaintance of the consultant the school used to lobby for the event and none of those points were brought up in any of our conversations. The proposed facility for the debate--the university's Ervin J. Nutter Center--hosted John McCain's announcement of Sarah Palin as his vice-presidential nominee back in August 2008 and hosted sitting Vice President Joe Biden for a rally at the school's Student Union building in September 2012 (my BTS coverage of that rally hints at the security measures required for high-profile political visitors). My concerns about that eleventh-hour decision revolve around how this area will be seen on a national level after Wright State's backpedaling away from that previous commitment considering the importance Ohio has in the general election strategies for both parties. The other venues--Hofstra, St. Louis' Washington University and the University of Nevada Las Vegas--are moving forward to complete preparations for their hosting gigs and the moderators for those debates were just announced late last week. My activities during the 2012 presidential cycle were my first foray into political news coverage and photojournalism. With all of this bad news, there was still a very slim sliver of hope for attending one of these events. Because of its location, I selected the Wright State debate as my only choice when I submitted for media credentialing through the organizer's web site in late June As a "local", I was hoping to score some "compassion" points due to my previous (and current) diligence in participating within the local presidential media circles. 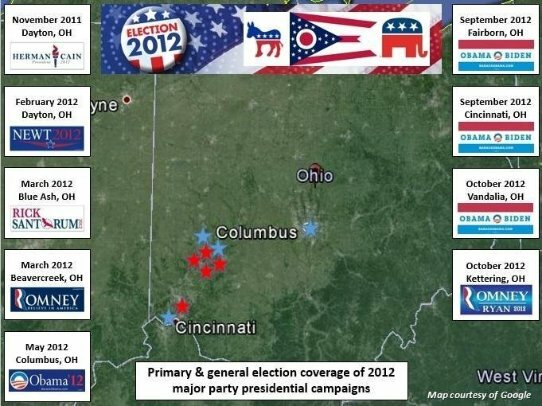 While the 2008 contest had me at several events as a supporter, the 2012 primary and general election cycles had me out there covering many of the major party candidates as a journalist when they would stop in the southwest and central portions of the state (as the above graphic details). During the Ohio elections two years later, I was able to attend events where I got up close and personal with many of the candidates for statewide offices. The 2016 cycle started early for me with the presidential candidacy announcement by Governor John Kasich in July of 2015 followed by a visit to Cedarville University by Dr. Ben Carson in September. This past March was very busy with four separate events (two rallies, a town hall, and a speech) in the Dayton and Columbus areas prior to the 15 March primary election. Over the past three months, I've been formally credentialed to cover three separate events for the Democratic presidential nominee, Hillary Clinton (I applied to get into a 10 August Mike Pence event here in town but was perfunctorily declined by the Trump press office due to press space and safety concerns). 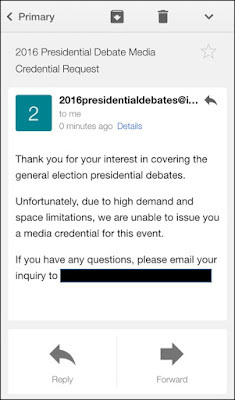 My "Hail Mary" pass to get into one of the debates was politely deflected by the debate credentialing staff late last week. 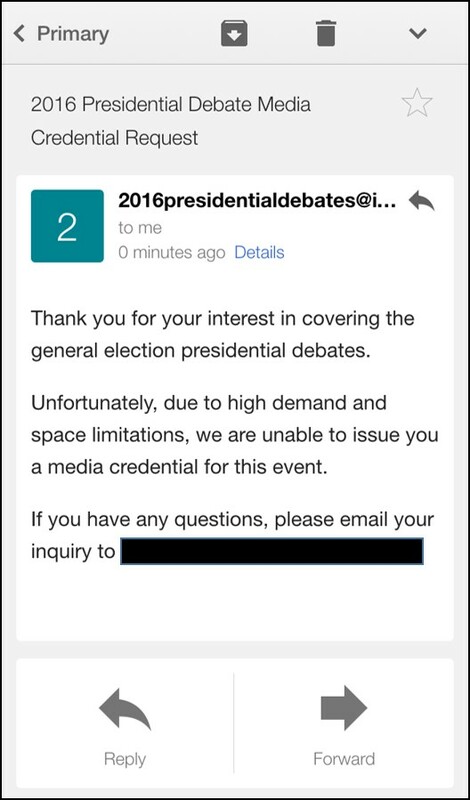 Soon after the cancellation of the Wright State event was announced, I was contacted via email by the debate organizers to ask what my intentions were regarding credentialing for any of the other debates. I took a couple of days to do some mental planning and while it would have been awesome to request covering the first debate at its new location, the logistics and timing just were not in that date's favor. I looked over the remaining two and I noticed that the second one--the one with the town hall format--is going to be held in St. Louis (a little over 5-hour 360-mile drive from my location versus a 10-hour 635-mile excursion to the East Coast) and is slated to be held on a Sunday evening instead of a Monday night. The shorter distance and not having to use an extra days' worth of vacation time pushed me towards responding to that inquiry with a "Hail Mary" decision by their 1 August deadline date. This past Thursday afternoon, I heard an out-of-place email announcement from my phone for the account I have set up for this blog (and my media activities). I quickly glanced at the sender info and my heart skipped a beat seeing that it was from the debate staff. I tapped on the screen and up popped their response to my request; unfortunately, it was the negative one displayed above. 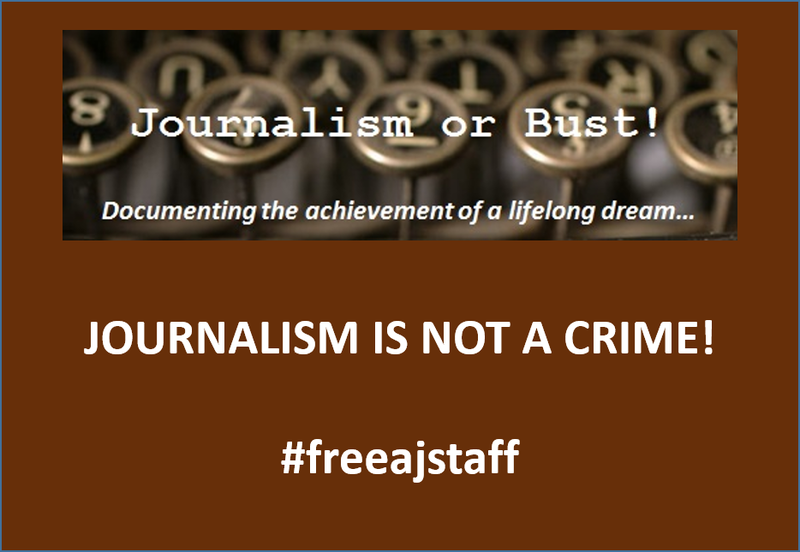 I humbly appeal for your reconsideration for my media credential request for the 9 October debate in St. Louis, Missouri. While it might be seen as a consolation prize for the canceled Wright State event, it would immediately serve as the highest pinnacle attained in my budding journalism career path. Please contact me through established channels if you have any questions regarding this request. 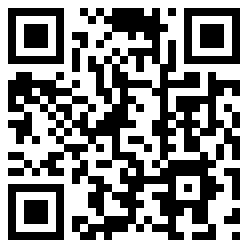 To help me in setting up travel arrangements to that venue, a quick reply would be sincerely appreciated. Thanks in advance for your second look.